Intended to accompany every moment in a woman’s life, this creation by Aerowatch distils a vision of time imbued with poetry and refinement. 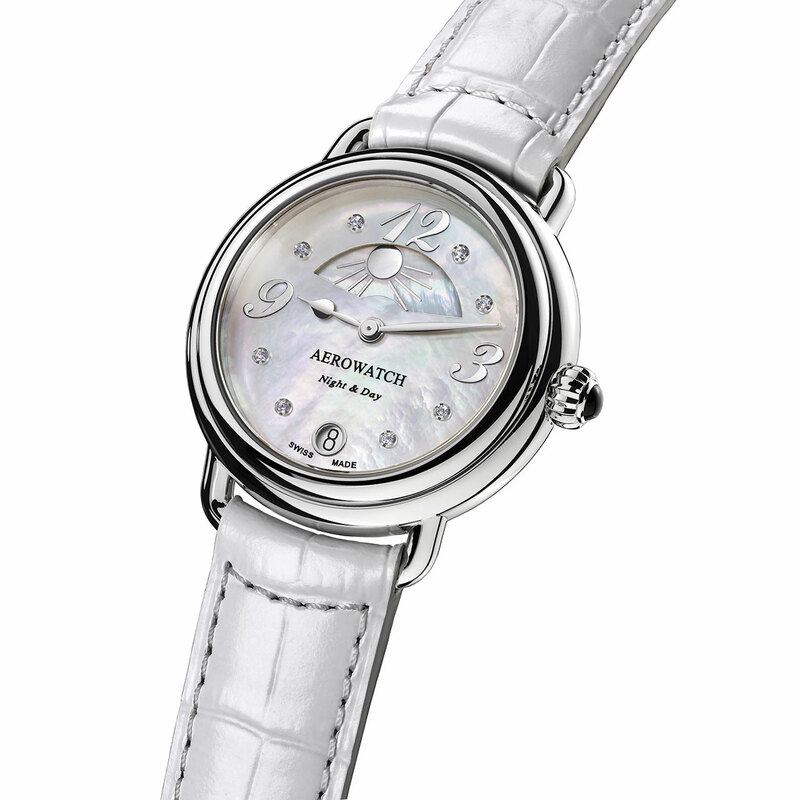 Its dedicated mother-of-pearl day/night disc features a radiant sun in the first part of the day, which gives way to the moon when night falls. The star-studded sky is elegantly depicted on the white mother-of-pearl dial graced with eight diamonds giving a timeless touch.